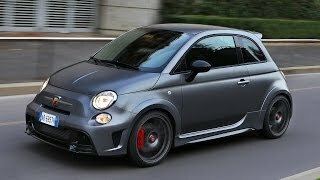 The 2014 Fiat Abarth 695 Biposto is the first street legal car in its category that is offered with a gearbox featuring dog rings with controls and disc and clutch self-locking differential derived from racing, making upwards gear changes so rapid that expert drivers don’t need to use the clutch. The car is powered by a 190 hp 1.4 T-Jet engine and has one of the best weight-to-power ratio in its category (5.2 kg/hp). 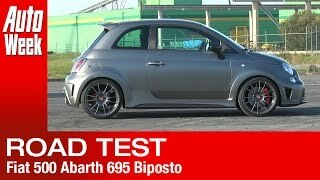 The 2014 Fiat Abarth 695 Biposto sprints from 0 to 100km/h (0-62mph) in just 5.9 seconds and has a top speed of 230 km/h (143 mph). 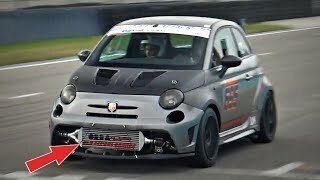 Everything about the Abarth ‘695 biposto’ talks racing. Check out the car pictures and you would know why?